If you missed Kelly’s introduction post last week, we’re Lexi & Beth from Crowded Kitchen. 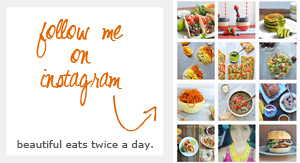 We're excited to be joining #TeamNosh and sharing a few recipes a month with you! 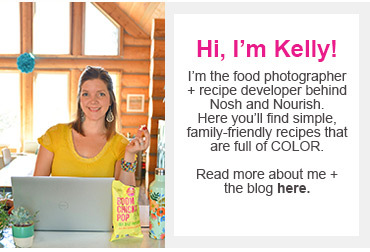 We’re a mother-daughter food photography and recipe development/blogging team from Michigan. Our recipes are centered around how we prepare meals as a family despite having many dietary differences and preferences. Mom and I are both gluten free and plant-based, but the rest of our family is not. It has taken us a few years to figure out how to manage cooking for ourselves AND our six-person (and growing!) family without sacrificing on either end. Needless to say, our kitchen is often quite crowded, but we love experimenting and finding the right balance for the whole family! 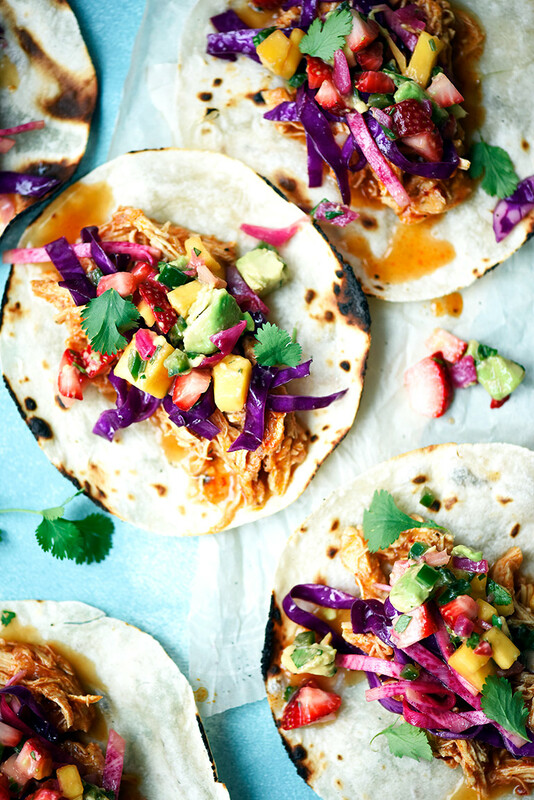 This shredded adobo chicken taco recipe is a family favorite. We often prepare this for the rest of the family and make a meatless version for ourselves (this particular recipe is great with black beans if you’re also vegetarian!). To save time, we always make this chicken in our pressure cooker (Instant Pot). The recipe really couldn’t be easier - we simply add chicken breasts, broth, a few chipotle peppers in adobo sauce (for both spice and smokiness) and seasoning to our pressure cooker and let it do its thing for 10 minutes. Shred with a fork and you’re good to go! We often make a double batch for the boys to take to work the next day with some brown rice, guacamole & black beans. The longer the slaw & salsa marinate, the better, but if you’re short on time, they’ll still taste great right away. 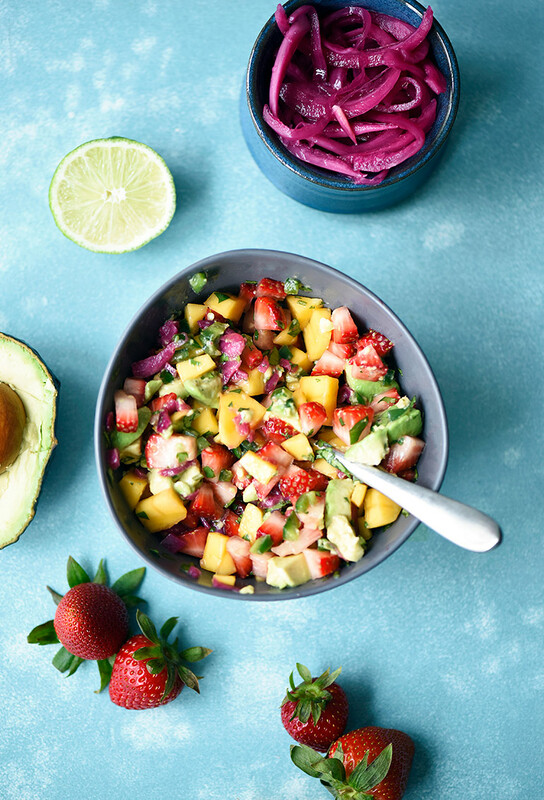 One of our main cooking philosophies is to add plenty of color via nutritious fruits & veggies (#EatTheRainbow is a real thing!). 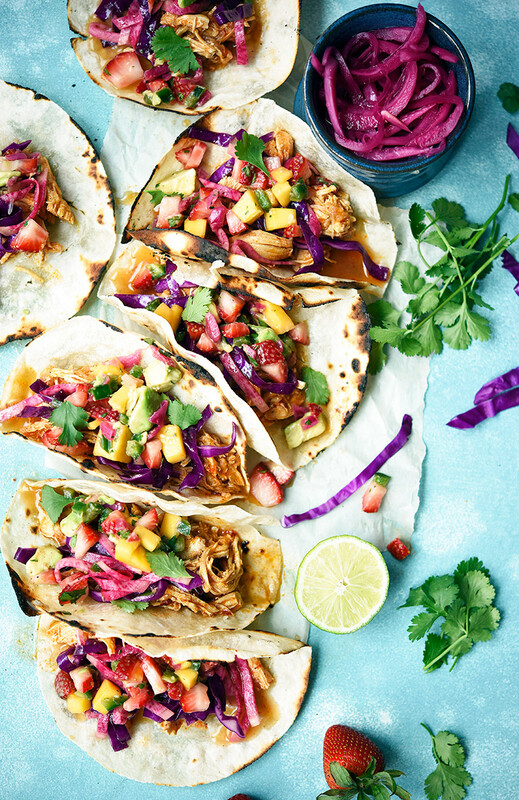 These tacos are no exception - we brightened them up with a crunchy, tangy cabbage slaw and a sweet strawberry mango avocado salsa with a bit of a kick from jalapeño. As you can see from the photos, we like to slightly char our tortillas for a bit of extra flavor. Lately, we’ve been using Siete tortillas for everything - they’re completely grain free and delicious! We used their Cassava & Coconut Tortillas here and found that they were very pliable and soft. And Kelly is using their Chia & Cassava tortillas in an upcoming post for build-your-own Greek Chicken Wraps (one of the 11 recipe videos she filmed last week!) You can find them in the refrigerated section of your local Whole Foods. We’d most definitely suggest pairing these with a margarita, because why not?! Since we’re heading into Spring, give this Raspberry Rhubarb Margarita a try! *if you have small kiddos, you could make this a little more kid-friendly by subbing in mild salsa for the chipotle peppers + adobo sauce. Lightly coat chicken breasts with taco seasoning, salt and garlic powder. Dice chipotle peppers - you definitely won’t want to get a whole pepper in your taco! 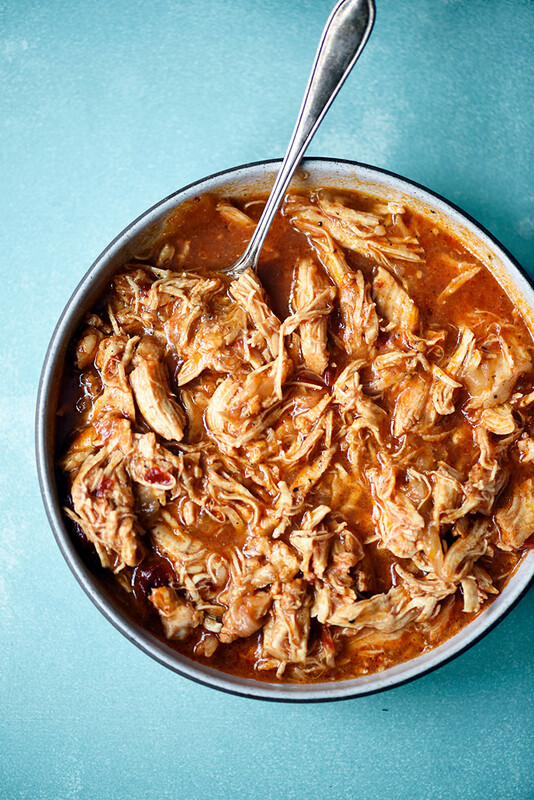 Add chicken to pressure cooker with broth and chipotles + adobo sauce. Turn pressure cooker to highest setting and let cook for 10 minutes. Once pressure is reduced, remove lid and shred chicken using two forks. If not using right away, store in airtight container in fridge for up to 3 days. Lightly char each tortilla for about 30 seconds over an open flame set to medium low. Alternatively, simply heat in a skillet. (No cold tortillas here!) Pile up each tortilla with shredded chicken, cabbage slaw and salsa. Enjoy! 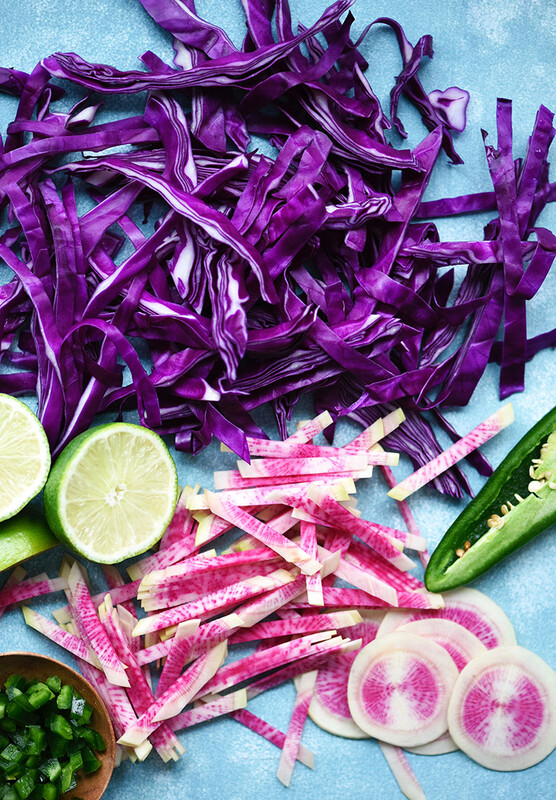 Cabbage & Watermelon Radish Slaw --- perfect for shredded chicken tacos! In a small bowl, whisk together lime juice, grapeseed oil, salt and cumin. Add thinly sliced cabbage & radish to mixture and massage for about 30 seconds. (This helps soften the cabbage and radish a bit quicker so you don’t have to wait as long!) Add in the jalapeno and stir. Strawberry & Mango Salsa --- perfect for shredded chicken tacos! Add all ingredients to a bowl and stir to coat evenly. Taste and adjust spices as needed.